Get Free estimates on sewer repair and replacement service and enjoy 10-year warranties on sewer replacements! Call (206) 654-4990 to schedule an appointment now in the Seattle area. Fox should be your #1 Choice for sewer repair and sewer replacement services, including for trenchless and side sewer systems. Fox Plumbing & Heating knows the importance of correct sewer line repairs and how important they are at keeping you and your family safe. Over time, broken or damaged sewer lines can sustain damage and wreak havoc on your home and your family's safety. Our team is ready to take charge of the entire process from rebates to sewer inspections. If you have a broken sewer line, it can cause a huge amount of cost and stress for your whole family. You don’t want to add to that by having to pay for re-landscaping your front lawn. If you live in Seattle and need trenchless sewer line repairs then ‘Think Out of the Box… Talk to Fox!’ Our experienced, licensed and highly trained plumbing professionals have over 15 years of experience. Our sewer line replacement manager will ensure that your new sewer line goes in with no muss or fuss. When Fox Plumbing & Heating leaves your home you won’t even know that we were there. Fox Plumbing & Heating offers the most advanced and cost-efficient repair or replacement of broken, cracked and clogged sewer lines. Our team of field technicians will quickly identify the cause of your home's problem and fix it permanently! But don’t take our word for it. See what some of our customers say about Fox Plumbing & Heating, and then 'Talk To Fox' today! See our reviews on Google and Angie's List reviews. Is a Trenchless Sewer Line Replacement right for you? The plumbing professionals at Fox Plumbing & Heating have been working with trenchless sewer repair and sewer placement for over 30 years! Our highly trained sewer repair and sewer replacement professionals, led by Konrad R. will push a new sewer pipe through old, shifted, and/or cracked pipes quickly, easily at a fraction of the cost. As the new pipe moves along the sewer it takes the place of the old sewer line. SDR17 PVC pipes are stronger and more flexible than previous sewer pipes, and these sewer lines are usually made from clay or concrete. When you work with Seattle and King County’s #1 Most Trusted Plumbing & Heating Company, you also have the peace of mind that the work is guaranteed for 10 years. That’s 10 years of peace of mind from a company who has been servicing King County for over 50 years. There will always be some excavating required, whether relining or using our trenchless sewer line repairing method. No matter the method you chose to use, you’ll save a significant amount of money on landscaping costs and time digging up your yard and back-filling the new line. When replacing your sewer line, it is important to hire a licensed and bonded professional plumber. If you go with a less expensive option then something could go wrong after a few months or years. That cheaper option could end up costing you double the original price of a sewer replacement. Replacing a sewer line in a home is a job best left to the professionals at Fox Plumbing because it takes years of experience and training to become a truly skilled trenchless sewer and relining professional. Call the Fox “Sewer Team” Today! Fox Plumbing offers our signature sewer pipe bursting technology. This will save you time and money, guaranteed! 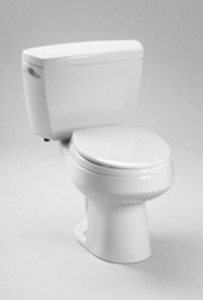 Water backups into tubs or toilets, especially if the water is dark and discolored, usually means that the flow to the main drainpipe has been interrupted. Foul odors coming from drains and piping around your home could be an indication of a damaged sewer line. Water bubbling up to the surface of the yard is an indication of a broken pipe leading away from the home. 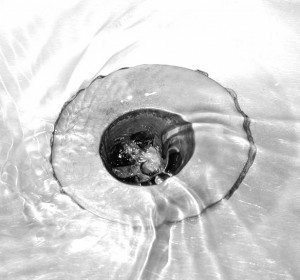 Backflow of sewer water into the bathtub or toilet is a sure sign that the main line has been clogged. If what goes down the toilet comes back up, it is time to call in the experts for a thorough inspection. When these issues occur in your home, your best option is to contact our plumbing professionals. Why Should You Consider Replacing Your Sewer Lines? Modern PVC pipes are strong and last for decades. 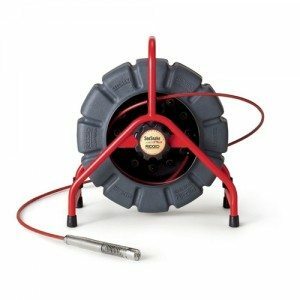 This piping system is easy to install, and the connections are much stronger than the gasket systems found on older, clay piping sewer systems. The pipes connecting your home's appliances are easily fitted to new sewer lines. New sewer line leads to fewer clogs and far less wasted water. This saves money and may even qualify your home for a tax break. 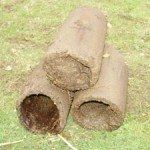 A new sewer line system, when properly installed, will prevent continual leakage from old sewer joints that create soil contamination underground. We at Fox Plumbing & Heating want to help customers in and around Seattle with all their sewer line services. We specialize in sewer line and water line repair and replacements and have the tools necessary to get the job done right. We also offer some of the very best warranties on complete sewer replacement services. For professional sewer line repair services at an affordable cost, contact us today! We are available 24/7 for emergency repair and replacement, and all our work is guaranteed in writing. Are your sewer lines ready to be replaced? Call us at (206) 654-4990 and get our expert Seattle sewer line replacement services and enjoy a 10-year warranty today! 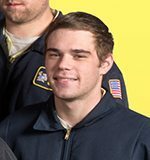 Konrad at Fox Plumbing was fantastic! He was honest in his evaluation of our sewer problem, offered several solutions, and gave reasonable bids. For our project he could even offer ideas on what labor I could do to reduce costs I've, unfortunately, had to deal with several plumbing companies to deal with old house troubles. These guys are by far the best. I will only call them in the future.